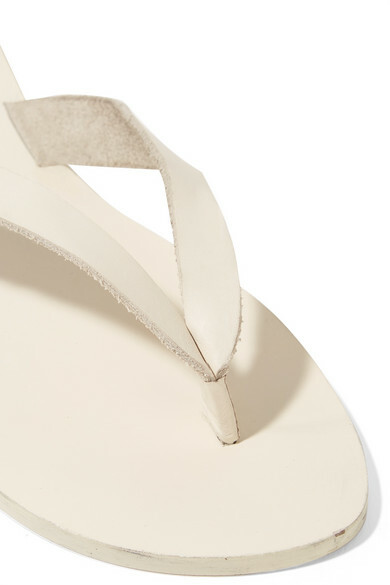 Tibi's 'Bryan' flip flops grounded tailored suits on the Spring '19 runway, and we just know there's going to be more of this relaxed styling on the streets come summer. 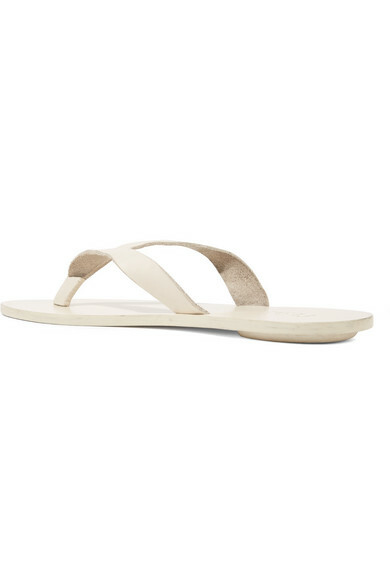 Made from raw-cut leather in a versatile ivory color, this pair has a slight heel to support your foot. They come in navy, too. 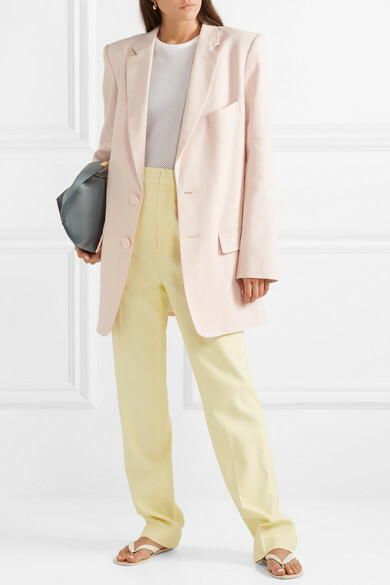 Shown here with: Tibi Bodysuit, Tibi Pants.